This time lapse footage was made while I worked on containership MV Carat in North Europe going around the Baltic Sea. During the trip we went from Riga, Latvia to Tallinn, Estonia to Klaipeda, Lithuania, Gdynia, Poland, then to the other side of Europe through the Kiel Canal to Hamburg and Bremerhaven, Germany. This was a a very fast paced environment, sometimes as little as eight hours sailing between ports and many berth shifts while loading and unloading cargo. Note the precise shiphandling while maneuvering the ship and without any assistance of the tug boats. Over 15,000 photos were used to put this video together, all summed up in five minutes. 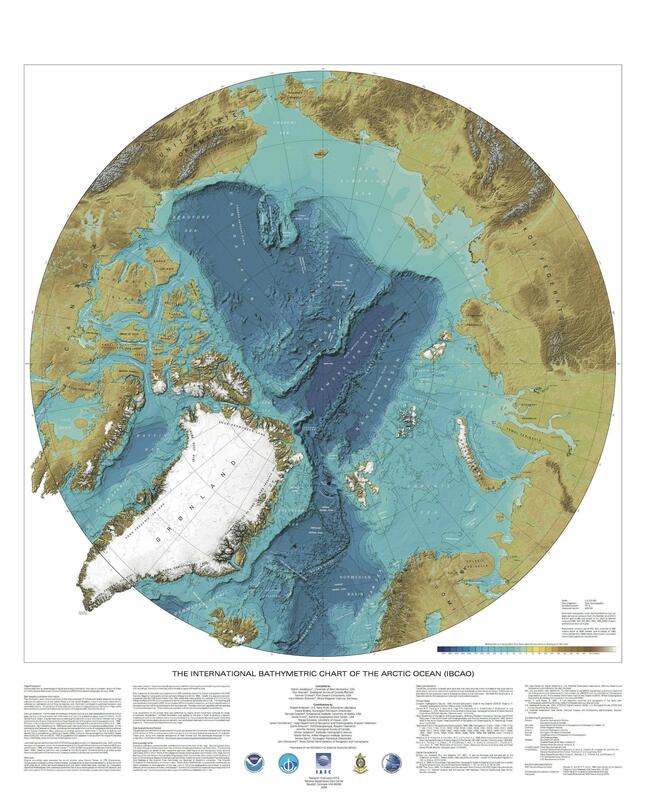 At first sight the great slabs of grey-blue ice covering the Arctic Ocean appear to be rock-solid and immobile but the extraordinary fact is that they are restless and shifting. Beneath what appears to be an unbending and endless landscape, the winds and currents are constantly at work reshaping it. During the long dark months of the past winter, Norway's research vessel, the Lance, has been stationed amid the floes and drifting with them at the amazing speed of half a mile an hour. In the few days I spent on board, when the vessel seemed to be locked in a vice-like grip, we actually travelled about a dozen miles. The view was essentially unchanging but the satellite navigation system revealed the extent of the drift and the Lance's journey can be seen here. 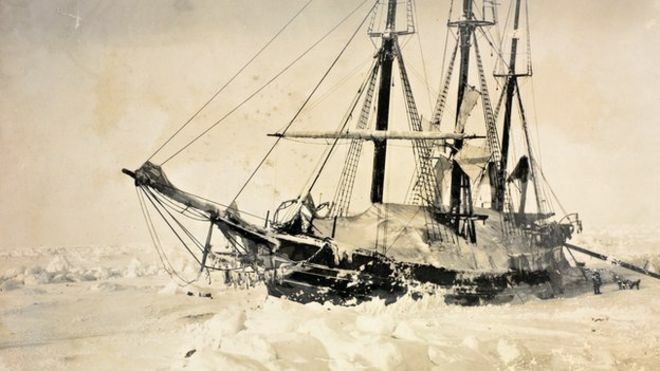 Although deploying the latest technology, the expedition's use of ice drift is not an original idea but instead draws on the proud legacy of one of the greatest ventures in polar discovery more than a century ago - the voyage of a vessel known as the Fram under its leader, Fridtjof Nansen. Nansen wanted to test what was then an unthinkable notion - jamming a ship into the ice and letting the flow of the ice do the rest. "I demolish my bridges behind me - then there is no choice but forward." He and others had noticed that old timbers from northern Russia were washing up several thousand miles away on the shores of Greenland - and the only possible explanation was that winds and currents had carried them there. Scientists now call this feature as the Transpolar Drift. And when an American vessel, the Jeannette, was crushed in the ice off Siberia in 1881, there was huge surprise when identifiable parts of the wreckage also turned up in Greenland. That led Nansen to dream up the idea of using the natural mobility of the ice to achieve something that was impossible at the time - to penetrate what he called the "ramparts of ice" and reach the North Pole. The movement of the ice, he judged, was sometimes "so strong and rapid as to equal that of a ship running before the wind". Nansen concluded that a vessel of the right shape - with a tough rounded hull - would be squeezed upwards as the ice closed around it, and be lifted above the surface to avoid destruction. "I believe that if we pay attention to the actually existent forces of nature, and seek to work with and not against them, we shall thus find the safest and easiest method of reaching the Pole," he wrote. "The ship will simply be hoisted up and will ride safely and firmly…the current will be our motive power, while our ship, no longer a means of transport, will become a barrack." Initially, his concept was met with derision. In 1892, when he outlined his plan to the Royal Geographical Society in London, the big names of polar exploration lined up to dismiss it. In 1893, Nansen took a special round-hulled ship Fram to the New Siberian Islands in the eastern Arctic Ocean, froze her into the pack ice, and waited for the Arctic drift to carry her towards the pole. Impatient with the slow pace and erratic nature of the drift, after 18 months Nansen and Johansen, left the ship with a team of dogs and sledges and made for the pole. 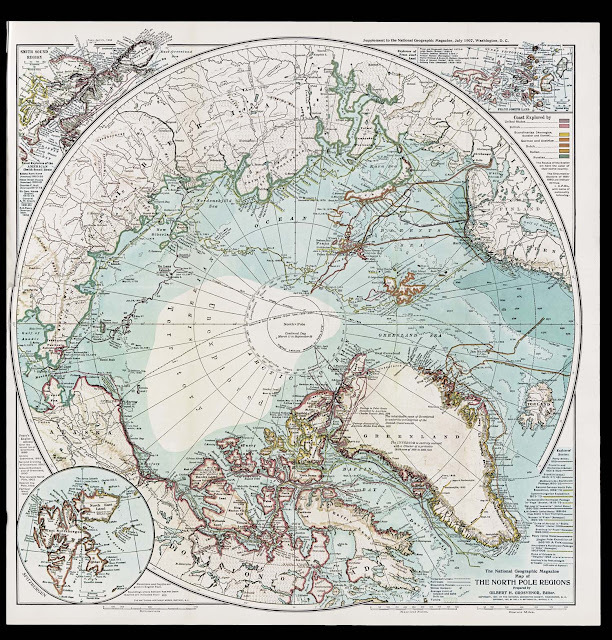 They did not reach 90°N but they achieved a record north latitude of 86°13.6′N before a long and parlous retreat over ice and water, attacked by bear and walrus, to eventually reach the safety of Franz Josef Land, where they overwintered in 1895. In 1896, Nansen and Johansen were found and rescued by Jackson. 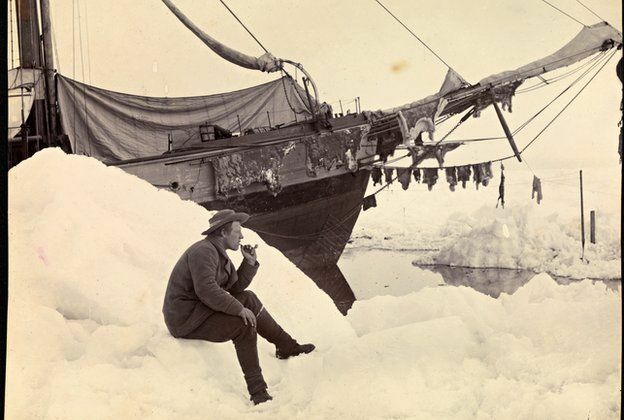 The legendary figure of Admiral Sir Leopold M'Clintock, who had led the first expedition through the fabled North West Passage in the Canadian Arctic, warned Nansen that "the danger of being crushed in the ice was too great." Sir Allen Young, another giant of Arctic discovery, highlighted the fact that no one knew whether land or islands lay in the unknown reaches of the Far North and that the idea of drifting would be "extremely dangerous". The American explorer General Greely went even further, warning that the expedition would fail with the risk of "suffering and death among its members". In 1893, when Nansen and his team set off, the growth of winter ice quickly surrounded the Fram and the moment of truth arrived. The ice floes jostled around the ship and a loud creaking began. "Now both pressure and noise gets worse and worse; the ship shakes, and I feel as if I myself were being gently lifted with the stern-rail, where I stand gazing out at the welter of ice-masses that resemble giant snakes writhing and twisting their great bodies out there under the quiet starry sky." The Fram rose, and its well-built frame and multi-layered hull withstood what no one other vessel had managed before. The result was that for three years the ship inched generally northwards and westwards, sometimes driven back, sometimes stationary, but proving that the Arctic is an active, restless region. The ship did not make it to the Pole so Nansen and a crewmate ventured towards it on foot and attained the previously-unheard of latitude of 86 degrees North, where massive ridges of ice blocked their path. The two of them, and the Fram, returned safely, and Nansen became an instant hero. Norway witnessed the largest gathering of people ever seen at that moment in its history, a significant moment for a country then yearning for its independence from Sweden. Map of Fridtjof Nansen's 1888 route across Greenland, the first crossing of the island. (in blue) Dotted line is the ship Jason's journey from Iceland to near Sermilik fjord (now known as Sermiligaaq), continuous blue line is the journey made by Nansen and his companions in two small boats trying to reach the coast. (in red) Planned journey from Sermilik northwest to Christianhaab (today known as Qasigiannguit). (in green) Nansen's actual journey across Greenland from Umivik fjord to Gothaab (today known as Nuuk). And in the years that followed, Nansen emerged as the essential expert for others to consult before any major expedition. His fellow Norwegian, Roald Amundsen, the first man to reach the South Pole, and the British explorers Scott and Shackleton, all went to see him. So how have things changed since Nansen's day? The Lance is built of steel rather than the wood used for the Fram but it has the same rounded shape which serves the same purpose. On one occasion last February, the Lance's bow rose nearly a metre into the air as the ship was lifted by an underwater ice-floe. And during our stay I felt a slight tilt as that process was at work again. The scientists on the Lance are measuring everything from the weather to the ice to the creatures beneath it. Nansen, with cruder instruments, did the same, establishing some guiding principles for methodical observation. 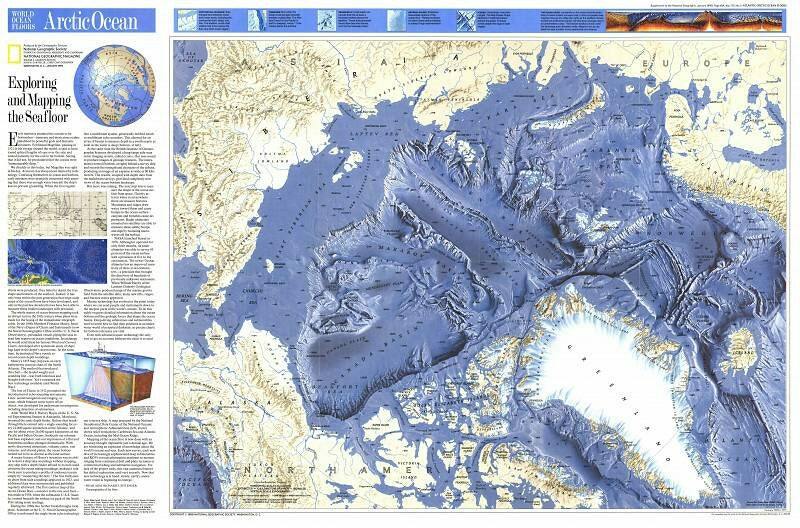 One of his major revelations was that the Arctic Ocean is extremely deep. For any researchers working on the Lance, there's a rotation off the ship every six weeks by helicopter. By contrast, for the men on the Fram, there was no escape for three long years from 1893-6. The clothing has improved immeasurably. Everyone venturing onto the ice now has to wear a floatation suit and during our worst weather, when the wind chill was minus 47C, it was just about possible to work outside. 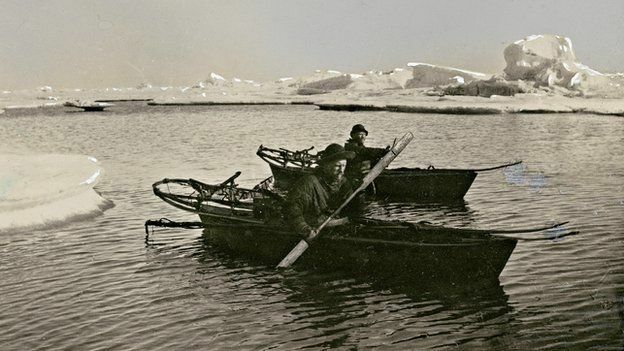 Nansen and his men, in a mix of wolf-skin and wool, must have felt the cold terribly and, if they slipped into the icy water, they just got soaked. "The difficult is what takes a little time; the impossible is what takes a little longer." And there's also been a huge cultural shift in how the polar wildlife is regarded. These days, the scientists go to great lengths to avoid harming any creature that comes their way. So polar bears, which can be a dangerous threat, are scared away with snowmobiles or flare guns; rifles are a last resort. Instead, in Nansen's time, the animals of the Arctic were seen as a source of food, as a means of survival. Seals, walruses and even polar bears were not just fair game but essential stock for the larder. It may be shocking to read this now but Nansen was quite open in his account of the voyage: "We have eaten bear-meat morning, noon, and night, and so far from being tired of it, have made the discovery that the breast of the cubs is quite a delicacy." 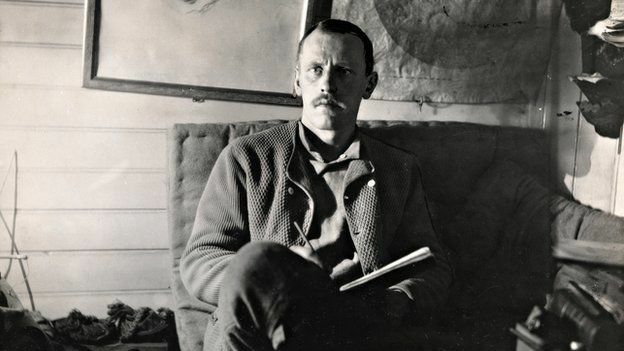 At the end of his journey, Nansen wrote that he had "gone far to lift the veil of mystery" over the Arctic. He also suggested that future expeditions should repeat his technique of using ships because the explorers would be more comfortable and could also bring their laboratories with them. That is exactly what the Norwegian Polar Institute has done with the Lance, as if following his script. But one can only guess at what Nansen would make of the helicopters and computers and other new technology, and of how the Arctic itself is being transformed. Born in Norway in 1861, Fridtjof Nansen was a scientist, polar explorer, diplomat, statesman and humanist, with a deep compassion for his fellow human beings. Andrew Taylor, an amateur sailor, taking part in the 9th Clipper round the world yacht race, aboard the 70' ocean racing yacht 'Derry LondonDerry Doire'. Fell overboard during horrific weather conditions and was lost at sea for 1hour and 40minutes in the very middle of the icy cold North Pacific. The crew of the yacht were totally alone in their search and the eventual dramatic recovery of Andrew, who was deeply hypothermic when recovered. 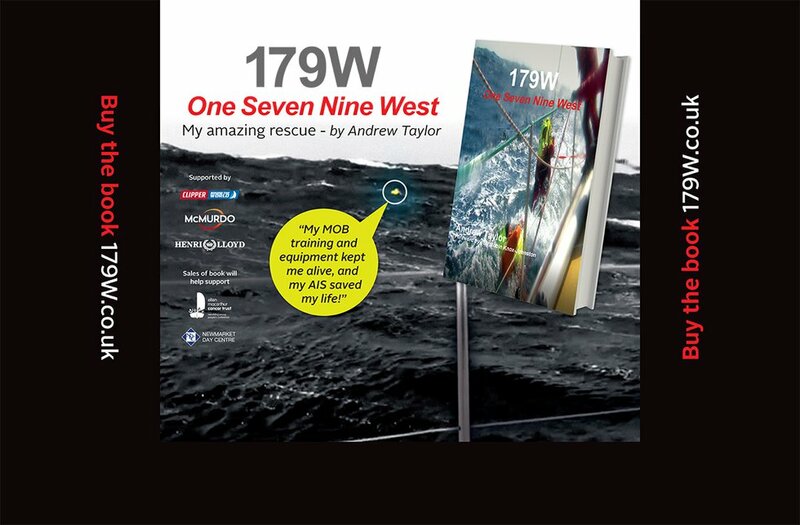 This book sets the scene as to how Andrew initially came to be competing in the race, his team’s eventful and truly amazing journey yacht racing over 45,000 miles around the world. The epic story of his desperate fight for survival in the North Pacific. Andrew's miraculous, surprising, and almost immediate return to ocean yacht racing. The first thing that struck me was the silence. Just moments before I’d been on the foredeck of a 73ft racing yacht, face-to-face with my skipper but screaming to be heard over howling 60mph winds and whipping rain. A winter storm was blowing in, turning the sky black. We were rushing to change to a smaller headsail in time. Suddenly, a huge wave smashed into the side of the boat and sent me tumbling headfirst into the freezing North Pacific. I braced myself for the safety line fixing me to the boat to tauten. It didn’t. The yacht ploughed on past at 25 knots, its rudder smashing into my legs so hard that I was convinced both had been broken. Then the boat was gone, swallowed up by the gloom, the waves, the rain and spray. It was just me: gasping for breath and fighting to stay afloat in the 30 metre swells of the most inhospitable ocean on earth. I was 2,000 miles from land, on map coordinates I will never forget: 179W. This August, I will be standing on the banks of the Thames watching a fleet of a dozen yachts embark on the 11th Clipper Round the World Yacht Race, a 40,00 mile odyssey that takes 10 months. It will be an exhilarating sight. I know, because two years ago I was part of one such flotilla. The race very nearly cost me my life. Like many taking part in this year’s event, I signed up for the adventure. I was 46, divorced, and had been working as a catering director at the Olympic Park and, prior to that, at Wembley Stadium for a decade. I was exhausted and had decided to take a year off. Speed clipper race at sea, man almost dies drowned. Circumnavigating the world was a massive personal decision, even aside from the cost – a place this year is £48,000. I would not see my teenange daughter Siobhan or my parents for almost a year. And I had no sailing experience. The Clipper race involves a rigorous selection process and intensive training in the months leading up to the race start. You learn that life aboard a racing yacht is hard work mentally and physically, gruelling at times and often dangerous. You are reliant on yourself and your fellow crew members. For many weeks, you will be far from land and from rescue services. It is not something to be undertaken lightly but it was what I wanted: the pleasure of working as a team; the thrill of escape. I was assigned to the yacht Derry-Londonderry–Doire - each boat is named after a sponsoring city or region in the world - and skippered by the 32-year-old Sean McCarter. There were 10 ‘‘round the world crew’’ on board and we’d be joined by ‘‘leggers’’, individuals who had signed up to do one or more of the 16 legs of the race, joining at the start or on one of the eight stopovers across the world. We had already sailed the Southern Ocean, as well as the notoriously unpredictable waters of the Bass and Taiwan straits and, between us we had suffered a broken arm, ribs, fingers, shoulder blade, and a dislocated shoulder. Leg 10, however, was the part of the race everybody was dreading. The route took in 5,600 nautical miles between Qingdao in China and San Francisco - a month-long journey through seas known as the most violent on earth. The nights were so dark you couldn’t even see the waves crashing over the boat. The isolation was total, just endless boiling sea in every direction. At 179W, the international space station is only 250 miles above. Possibly one of the remotest points on earth! The day it happened was March 30, my mum’s birthday. I’d been on deck since 5am and it was an hour before I was due to go off watch at midday. I cannot properly describe the hideous, sickening realization that I wasn’t clipped on to the boat - a standing order in rough weather and especially when working on the pitching, tossing fore-deck. The impact of the cold was instant, the sea temperature being no more than two degrees. Even though I was wearing a dry suit (which provides thermal insulation in water) I began to feel the iciness seep in, gnawing at my extremities and the small of my back. Had I not been wearing the suit I would have been dead in minutes. Clipped to my life jacket was an AIS beacon, a device which once activated would alert those on the boat I was in the water and help them to locate me. I had bought it myself before the trip and now it was my only hope. I reached down into the water and turned it on, praying that the signal to the boat would be picked up and alert them to my position. I clutched the beacon as tight as possible in my hand and tried as hard as I could to stop being tossed like a rag doll between the waves. I thought about my daughter Siobhan and missing my mum’s birthday. My life didn’t flash before my eyes, though. I was too intent on not swallowing water and struggling to breathe. When the storm that had been threatening hit in all its fury, it was like being in a washing machine: wave after wave smashed down upon me. I remember seeing the boat a few times and realizing they had stopped. At one point I could see someone was up the mast which at least confirmed they were looking for me. But it was obvious they were some miles away. One hour in I realized I had stopped shivering. I knew from my race training this was a prelude to the euphoric feeling associated with the advanced stages of hypothermia. I did everything to fight it, even taking my spray hood off and turning into the wind to get cold again. I had a watch on but I never once looked at it because I thought it would only demoralise me. At some point I decided to reboot my beacon - and thank God I did. This time it flashed differently and I realised it hadn't been working properly before and the boat may not have picked up my signal. Over the course of that dreadful 100 minutes in the ocean I had all kinds of mental experiences, some real, some the product of my battered consciousness. At times I was shouting at myself to keep fighting and stay alive. Even now, I can’t bear to read what I’ve written about it or remember it. When I first head voices - snatches of shouting on the wind - I wasn’t sure if it was my imagination. Then the boat was on top of me – all 36 tonnes of it crashing up and down the waves, both a wonderful and terrifying sight. That wasn’t the end of the ordeal, though. In training we had, many times, practiced lowering a rescuer from the boat to clip a helicopter strop on to the man overboard and then haul him out. But the conditions that day were so bad that the rescue swimmer, a friend of mine called Jason Middleton, couldn’t get the clips on to me. Twice, I fell back into the water and the boat had to go around again in a figure of eight to re-start the rescue. Finally, after several attempts, the clip snapped shut, but at that moment the boat rolled back and forth violently and it smashed me repeatedly against the side. I was convinced I was going to drown. One more attempt and several crew members were leaning over in a desperate attempt to pull me up by hand and get me onboard. Eventually it was me who grabbed on to a guard rail and miraculously haul myself in. I will never know what gave me that final strength – perhaps it was the instinctive knowledge that it was the last attempt before my body succumbed. Either way, I remember being in a heap face down on the deck. I turned and looked up at the skipper and he had this massive smile on his face. I was still in grave danger. If I had been on land I would have been in intensive care. I was put in a sleeping bag surrounded by bottles full of hot water, and Susie Redhouse, a paramedic from London who was the boat medic, stayed with me as I started to warm up – refusing to let me sleep. I had severe shock and hypothermia, my face was was covered in abrasions from the saltwater and my battered legs in agony. But the principal fear was of secondary drowning when your lungs flood. The simple process of warming up was the most intense pain I’ve ever experienced as if my skin was on fire. It was 12 days before we reached land. During that time I slept a lot, ate little, and slowly began to limp around. Speaking to my family over the satellite phone was just amazing. News of the rescue had preceded our arrival in San Francisco and there were television crews everywhere. I resolved then that I was going to finish the race. I spent six days having intense physiotherapy before rejoining the boat. I was, of course, worried, but quitting would have been the easy thing to do – and that is not why I signed up. I decided to write a book detailing my rescue not to make money – all proceeds are going to charity - so that others can learn from my experience and it can help improve marine safety. Since finishing the race last summer, I have worked closely with the Clipper organisation and marine safety manufacturers. We have updated and altered the clips and straps on the rescue equipment, and we have also changed training for man over board drills so now the rescue swimmer actually is submerged in the water rather than being lowered down on a halyard. The AIS beacon has also had its software updated and now will reboot automatically if it does not connect with the signal onboard. I kept my own AIS beacon and have it framed. On a personal level, I needed to come to terms with what happened and writing has helped me do that. It was a miracle that I survived. I wouldn’t miss the start of this year’s race for the world. My experience of being lost at sea makes me all the more determined that others should continue to explore it. This map of the world drawn by Henricus Martellus in about 1491 was donated to Yale in 1962. Its faded condition (shown above) has stymied researchers for decades. 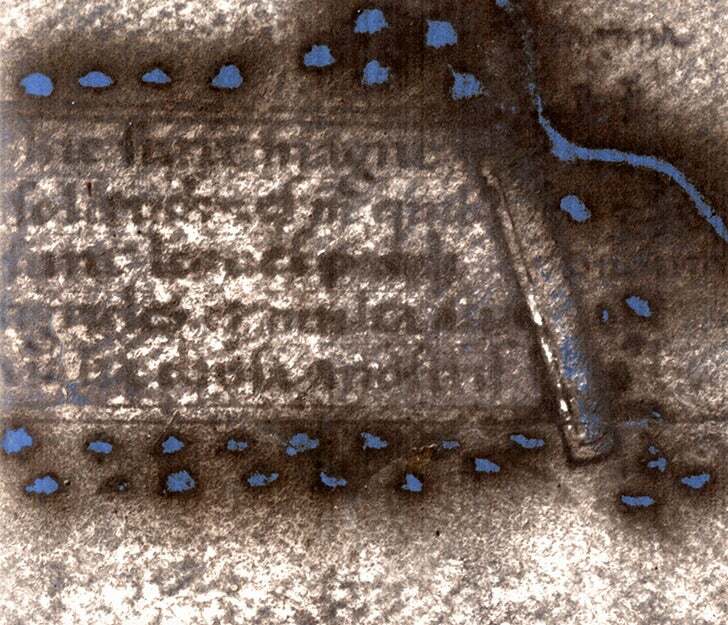 The multispectral image of the map (below) reveals text and details invisible to the naked eye. The primary way we share ideas today is the internet. 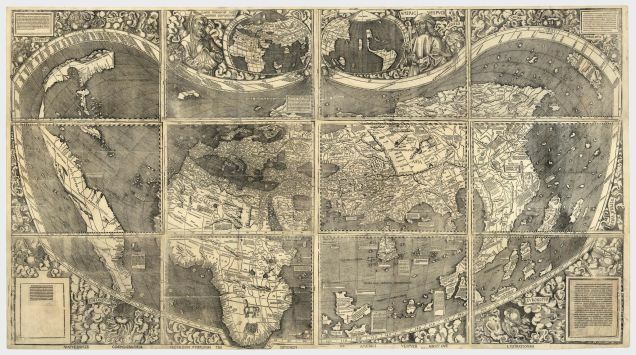 In the 15th century, it was cartography. And now, researchers at Yale are giving us a glimpse of one of the most influential maps in history—parts of which, up until now, had been too faded and aged to read. Henricus Martellus isn’t a name you’d recognize unless you’re interested in map history, but he played a role in some of the most important events of the early modern world, thanks to a map he drew in 1491. It showed the world as Europe understood it, and scholars have long theorized that it gave Columbus the information he needed to find the New World (it also may have famously misinformed him about the location of Japan, today known as the Bahamas). 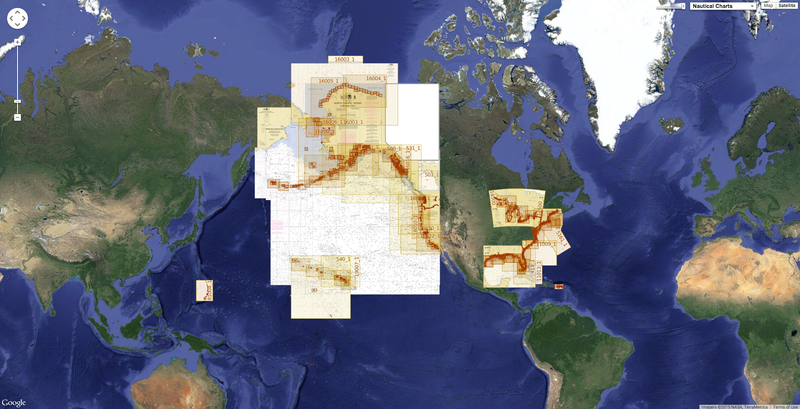 That a map could survive 500 years—524 years, to be exact—is pretty amazing. But much of the text on the 6-foot-wide map has been lost to history thanks to wear and tear. Since the map came to Yale in the 1960s, researchers have tried to decipher hundreds of words and shapes that were too faded to read. Text in the southern Asia portion of the map describes the "Panotii" people, who purportedly had ears that were so large they could use them as sleeping bags. It’s only within the past year that they’ve succeeded—thanks to improvements in multispectral imaging. In Yale News, Michael Cummings explains how the technology has revealed hundreds of new words that seemed lost forever. In his story, he explains how a team at Yale is using multispectral imaging to see through the ancient haze: The process captures images of the map at 12 different light frequencies which, when processed using imaging algorithms, reveal words and figures where our eyes see nothing. Cummings was kind enough to send along higher-res versions of the maps’ new details, a few of which you’ll find below. As Cummings explains, a lot of the text passages on the map describe not only local populations, but also the local wildlife of regions throughout the world—sometimes lifted from The Travels of Marco Polo. Another cool detail revealed by the multispectral analysis? The council was called by the Pope—who invited the Ethiopian delegates, providing insight into how the African continent was shaped. The multispectral images show previously lost details in Martellus' depiction Africa that suggest the German cartographer used data from African sources, not European explorations. Again, cartography was a hugely important tool during the Age of Discovery. 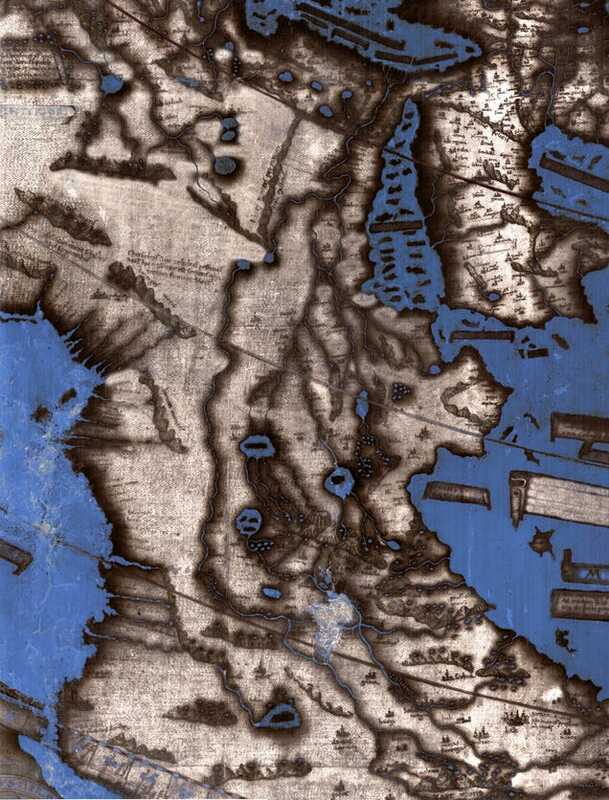 Martellus’s map was based on others before it, and his map went on to influence how several other cartographers depicted the new world. The multispectral images created by Yale give us a look at that heritage—the newly-uncovered words include some shared with a later map, by Martin Waldseemüller in 1507, suggesting Waldseemüller may have used this map to draw his own. We’ve written about Waldseemüller’s map before, actually: It was the first known cartographic rendering of America as a continent. Of course, his 16th century America looks very different from our own. “America” is a long, thin peninsula that seems to stretch from Nova Scotia down to Florida. Beyond that, neither Waldseemüller or Martellus could know. 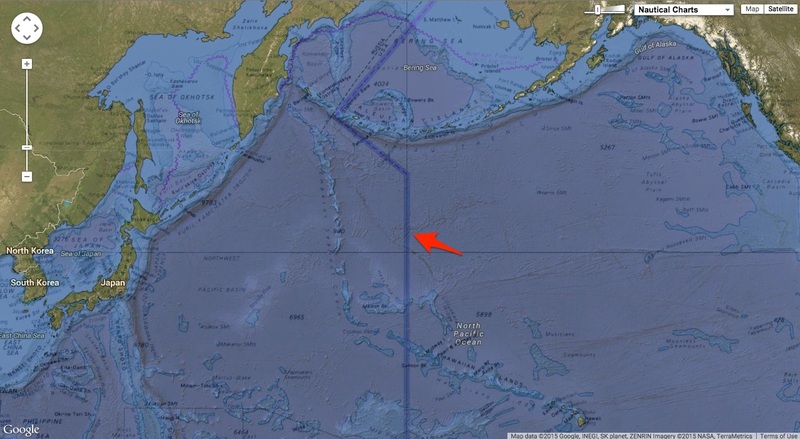 It would take far longer to find out what existed in the blank patch of map—and even longer for us to figure out what they thought might exist there. It's no longer a challenge to get astonishingly sharp photos of the Earth from space, but video? UrtheCast is about to open the floodgates, however. It just released the first batch of full-color, high-definition video of Earth recorded from the International Space Station. In many ways, the extremely sharp footage (with detail down to 3.3 feet) of London is like an internet mapping site come to life -- all those pathways are suddenly full of moving boats and cars. The Iris imaging system that recorded these movies won't be fully operational until the summer, but the preview suggests that its customers will get plenty of insights into traffic and other activity that's harder to track from the ground.